Imagine living in the city, but feeling like you live in the country. Living in Carriage Lane, a new subdivision in Summerville, features all the conveniences of city life, yet has the seclusion of owning a home in the country. When you take a right turn off Hwy. 17A, less than a mile from I-26 on to Rose Hill Drive, you feel like you are traveling down a country road. There are two horse stables on the right heading toward Carriage Lane. In less than a quarter of a mile you will feel like you traveled into a secluded area with no worries. But in actuality, you are only one-mile from Wal-Mart, Target and Eastern Federated Theaters in Azalea Square. If the location is not enough to lure you in, the homes in Carriage Lane should do the trick. 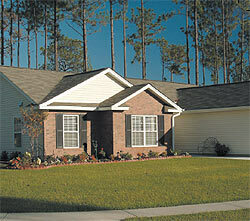 The homes are built by one of the top 10 builders in the Lowcountry, Jessco Homes. Founded by brothers Jeff and Steve Stahl in 1997, Jessco stands for "Jesus and Company." The Stahl brothers treat all their customers the way they like to be treated. Jessco builds quality homes, always striving towards excellence in every project they construct. And the Stahl brothers do whatever it takes to make a home right for their customers. Homes in Carriage Lane cost from $145,000 for a 1,422 sq. ft. house featuring three bedrooms and two baths to $200,000 for a 2,000 sq. ft. house featuring four bedrooms and two baths The best part is there are no pre-set plans for a home. "We are flexible," says co-owner Jeff Stahl "We are not locked into a certain style of homes, unlike many other builders. We advertise quality and value at no extra charge. That means we sell from the top down. Where other builders advertise a basic house to get you in the door, then sell you as many upgrades as possible, we put the most popular upgrades in the house from the start and price it to be affordable." The standard features customers find in most Jessco homes include brick trim on the front of the house with vinyl siding and two-car garages. The front lawn is fully sodded, with shrubs and bedding plants in place. The backyard and side are seeded. The kitchen has smooth-top ranges with built-in microwave and dishwasher. Other standard features include a separate jetted tub and shower in the master-bath, upgraded electrical wiring including prewiring for the garage door opener, and ceiling fans in all bedrooms. 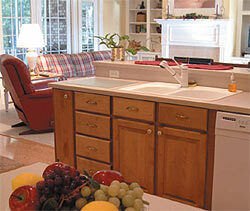 Jessco also allows customers to make custom changes to their plans to personalize the home. You can count on Jessco Homes using only the best materials for quality construction. They use 20-year fiberglass shingles, corrosive resistant metal garage doors, structuring enhancing OSB exterior sheath, PEX plumbing with plastic drains and a one-year soil treatment. "Our success can be seen in our growth," continues Stahl. 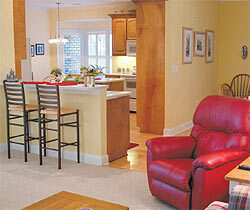 "We will customize the customer's home to their needs. We offer products to accommodate any price range. Our slogan is 'quality and value at no extra cost.'" Living in Carriage Lane is like living in the country, but living in Summerville with a growing population of more than 30,000 and the consumer amenities of any mid-sized American city. Golf courses, hospitals, shops and restaurants are all located in and around the city limits of Summerville. The Francis Beidler Forest, perfect for exploring the outdoors, is nearby, as well as the Dorchester Museum, which is home to some of the oldest animal fossils ever discovered in South Carolina. If you are in the market for a new home and looking for a nice affordable place to live, check out Carriage Lane in Summerville. Carriage Lane is the quaint subdivision near I-26 less than a mile from the heart of Summerville.